If Satan is the god of this world, and the father of lies, then it’s not a stretch to think that all the people on the earth are being lied to in one form or another, all the time. The only thing we can trust is the Bible. So as Believers we look to the Lord to meet our needs. He is our sustainer. But we still have to live as aliens on a planet full of lies, waiting for God to redeem the earth from Satan’s control. And as we mover closer to Rapture, we can easily see many of the end time events beginning to line-up. For instance, people of earth are looking more and more to the government to meet their basic needs–moving toward a one-world government. But can the Government meet our basic needs? It’s gotten to the point I don’t want to trust any government official, because I think they’re all liars! And just when you thought it couldn’t get any worse, it has. It’s not just the IRS and State Department that have been lying to us. 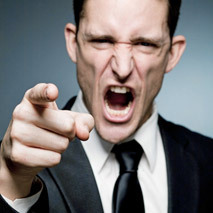 The Food and Drug Administration (FDA) is just as guilty. For decades, they have allowed poison into the food supply. Yes, poison! It’s an incredible statement to make but our grocery store FOOD is killing us! And they won’t tell you the truth. Apparently there are a LOT of people who already know the problems with the food we consume daily. I admit I’ve been asleep at the wheel regarding this subject and am just now taking the time to look into it. But with very little research, the facts are shocking to say the least. And I must apologize for rolling my eyes every time somebody would try to tell me things not to eat. I just couldn’t believer our food delivery system was that unhealthy. But it is… it’s atrocious. Diabetes is skyrocketing. 20 million Americans have diabetes and another 57 million have pre-diabetes. What happened in the 70s and 90s that caused diabetes cases to escalate? Read on. Another huge consequence of eating food on the “approved” list is heart disease. Some 75 million Americans have heart disease and the numbers continue to climb, despite millions on diets or drugs that lower cholesterol. Heart disease is the leading cause of death for both men and women. 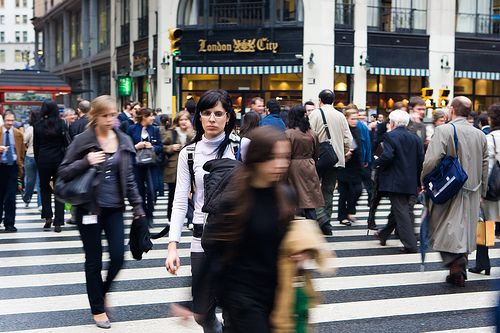 600,000 people will die of heart disease this year, one out of every four people. More people will die of heart disease this year than all other causes combined! 1) Chemicals that the FDA has approved to be injected into animals we eat. 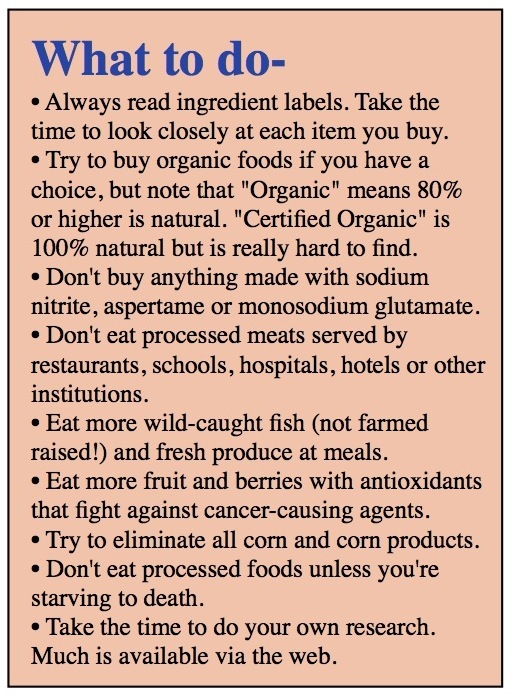 2) Chemicals approved to be added to the foods we consume. 3) Genetically modified (GMO) plants that both our animals eat or we directly consume. You won’t hear this on TV. Or from the government. But what you are about to read is true. Fact: Over 70% of the antibiotics used in this country are used in animal food production. What’s in the animals we eat affect each and every one of us. Many, and some argue most, of today’s health problems like autoimmune disorders, food reactions, Alzheimer’s and heart problems begin in our gastrointestinal tract (GI)–stomach, intestines and all digestive organs. If our GI can’t digest foods, or the chemicals added to processed foods, it becomes inflamed and our immune system doesn’t function properly. And therefore we are more likely to get sick, develop allergies, become resistant to antibiotics, etc. And for the last 50 years or so, our GI has been getting more than it can handle! Hence the problems. Dr. Dwight Lundell, who has preformed over 5,000 open heart surgeries, has thrown the medical community on its head by releasing a letter of apology last year. In his letter of apology he stated, contrary to supposedly scientific opinion, that cholesterol is not the problem in heart disease. Dr. Lundell explains that it’s the inflammation in the walls of the blood vessels that causes the cholesterol to accumulate. He goes on to state in no uncertain terms, that for decades we’ve been treating the symptoms, and not the problem. The problem is caused by the chemicals and altered/modified DNA (referred to as GMO) in the foods we’re eating, not high fat diets. In fact, the low fat diets CONTRIBUTE to the inflammation! 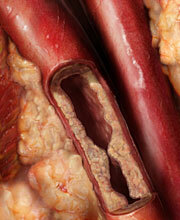 Cholesterol buildup in arteries is caused by inflammation in arteries, not from eating too much fat or red meat! Inflammation is your body’s natural defense to unnatural substances like bacteria, toxins or viruses. As we continue to pummel our bodies with foreign chemicals that we can’t process, inflammation is generated causing cholesterol to accumulate in our arteries. The result is high blood pressure, diabetes, obesity, stroke and heart disease. So again, the problem is not cholesterol but rather the foods we eat that damage the walls and cell lining of our arteries. These chemicals also affect the delicate balance of natural and God-given good bacteria in our stomach and intestines that aid in digestion and work against infection. In Europe, GMO food products must be labeled. But not here in America. Below are some reasons other countries have banned foods that we’re eating. In a nutshell, don’t eat it. 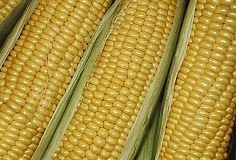 It is estimated that some 85% to 90% of corn grown in the United States is GMO — has been genetically modified (which is basically changing the DNA) so that it can withstand massive chemical spraying. Known as “NK603 Roundup-resistant,” farmers can spray gargantuan amounts of toxic vegetation killer and only the corn survives. There is another corn Monsanto distributes called “Bt.” It has been genetically modified so that when insects eat the corn, it kills them. Let me repeat. When insects eat the corn, it kills the insects! That means we’re eating pesticide poison when we eat corn. And the Center for Disease Control (CDC) and Environmental Protection Agency (EPA) admit pesticide is a carcinogen (cancer causing agent). Sherbrooke University Hospital in Quebec did a study that found the Bt toxin was detected in the blood of 93% of pregnant woman, 80% of babies and 67% of non-pregnant women. But tinkering with God’s DNA footprint has its downside. Bt has been toxic to humans and mammals since 1996 when it was introduced and there has been a corresponding rise in birth defects and disorders. A study in Italy where mice were fed Bt corn showed many problems as it adversely affected their immune systems. The mice also had an increase in interleukin cytokines, which are associated with allergies, inflammations and even cancer. If you suffer from arthritis, MS or cancer, you have elevated interleukins. It doesn’t take a rocket scientist to see a connection. It’s safe to assume that if you’re eating corn, you’re probably eating GMO corn, and the poison in it. And, as I mentioned, the FDA and EPA admit that most of herbicide, weed killer and insecticides are cancer causing. To the right is a picture of a rat that was fed only GMO corn. The study was done in France and is shocking. 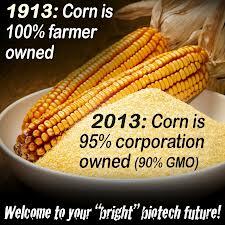 The corn caused premature death and up to 300% increase in tumors and liver and kidney damage of the rats. This is the same corn that comes in your corn-based breakfast cereal, tortillas and corn snack chips. The French study was done over a two-year period. When the scary results were tallied and made known, Monsanto, who sells both the corn seed and vegetation killers, did its own in-house study (but only three months long) trying to mitigate the revenue damage. 70% of all processed food contains corn. This has become such a problem (as the word is getting out about problems linked to corn) to manufacturers that they have gotten pretty good and deceiving you into thinking that corn is not in a product, when it is. The ingredients listed on a package may not say “corn” but rather say “citric acid.” Citric acid can be, and usually is, made from corn. 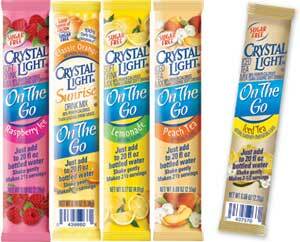 Other words substituted for corn are Ascorbic Acid, baking power (corn starch), cellulose, dextrose and starch. Even Morton adds dextrose to their salt! GMO wheat is being tested but thankfully it’s not been approved by the FDA. 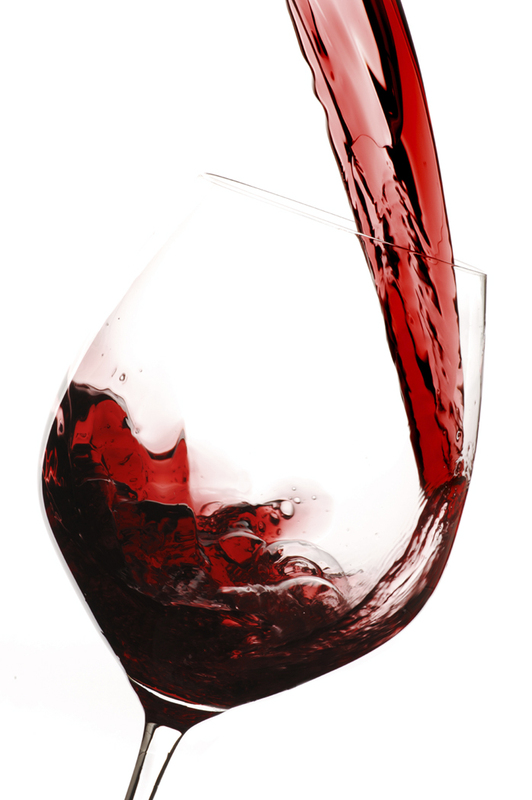 Red flags issued by scores of top scientists are screaming that it leads to liver failure. Hopefully the FDA won’t approve GMO wheat. But unfortunately the wheat we eat is already a problem. Back in the 1960s and 1970s scientists began selectively breeding wheat in order for it to withstand drought, cold climates, insects damage and therefore increase crop yields. The modifications also made all wheat grow the same lower height making harvesting much easier. The result is that today’s wheat has little resemblance to wheat grown 100 years ago. Tests have shown that the “gluten” problem can be traced to wheat consumption. Digestive diseases, obesity, diabetes, heart disease, arthritis, osteoporosis, lupus, infertility and dementia all can be traced to the modified wheat we consume daily. 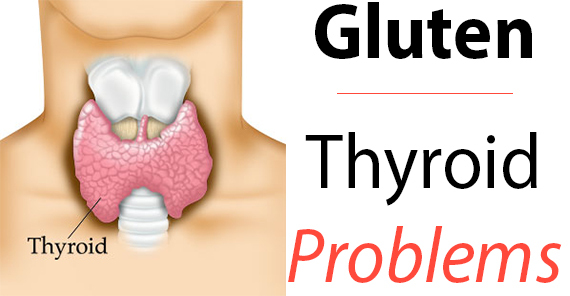 Several studies have shown a direct link between Autoimmune Thyroid Disease and gluten intolerance. Some studies suggest as many as one out of every three people are gluten intolerant! 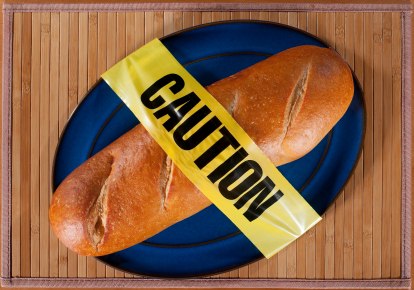 Worse, 8 in 10 people are genetically predisposed to gluten intolerance. White bread and whole wheat bread increase blood glucose more than pure sugar. When insulin and blood sugar levels rise and fall rapidly it makes humans more hungry…so we eat more and gain more weight. Most people will lose weight when they go on a wheat-free diet. Most cows are fed corn. So both the milk and meat from corn-fed cattle contain poison if they’re eating GMO corn. 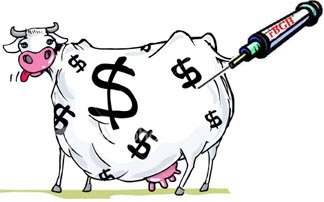 Bovine Growth Hormone (rBGH) is a genetically modified synthetic hormone that is repeatedly injected into cows to increase milk production. At least a third of all dairy cows are injected with this GMO hormone, which is a combination of cow DNA and bacteria. Monsanto lists on its rBGH warning label some 20 adverse affects for cows including increase of bacterial infections, reproductive problems, milk quality problems and increase of pus in the milk! Good grief! Because of these problems, all 26 countries in the European Union, as well as Canada, Australia, New Zealand, Israel and Japan have banned the use of rBGH. The antibiotics, used to fight the pus, show up in the milk and enter humans. 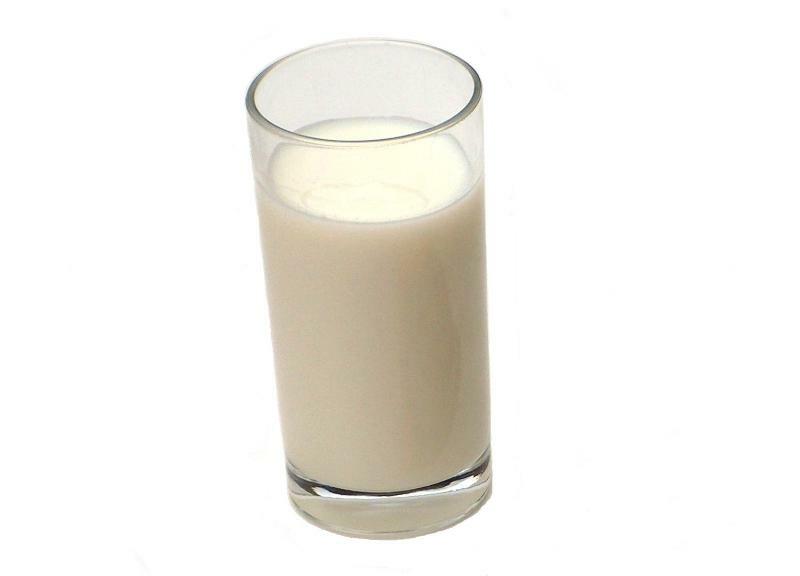 When we drink milk with antibiotics in it, our bodies become resistant to them and make it harder to fight infections. But the biggest problem is that using rBGH increases “insulin-like growth factor-1” (IGBF1) in humans. 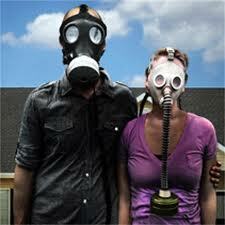 When rBGH increases, the chance of breast, colon, prostate, and lung cancer as well as abnormal cell growth increase. The FDA does NOT require labeling milk with these facts! And Monsanto has sued companies that HAVE labeled their milk as “rBGH free.” This gives you a hint as to how strong the dairy lobby is in the U.S. In a nutshell, this stuff is poison. If you’re eating or drinking anything with Nutra Sweet or Equal in it, you’re eating/drinking poison. 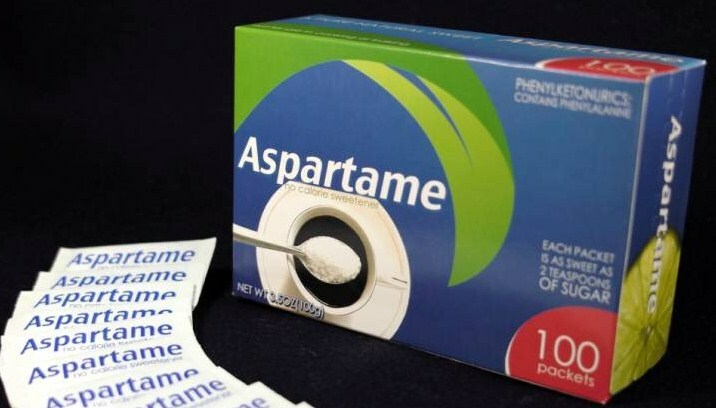 Aspartame is in over 6,000 products consumed daily and I guarantee you it’s in products you never thought about–including most breakfast foods. 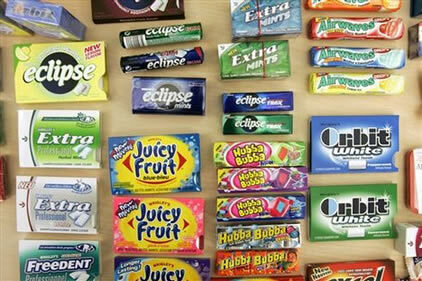 And it’s worse for kids as their natural defenses against the ingredients in aspartame are not fully developed. It should never have been approved. The story of its approval sounds impossible as the FDA listed 92 symptoms caused by the poison. This is why the FDA kept it away from consumers for 15 years. You might think I’m getting a little carried away calling it poison, but up until it was approved for human consumption, the Department of Defense was considering using it for biological-warfare because it contained so much neurotoxin. 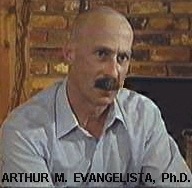 Arthur Evangelista, a former FDA Investigator, has written extensively about the problems with aspartame. He outlines the role politics played in the way it was approved. And that those who did illegally push it through the approval process left the FDA and took cushy jobs with the pharmaceutical companies that benefited most from the approval. “The hypothalamus alone (the major controller for much of the endocrine system), is at especially high risk to these effects…thereby, affecting many other organ systems. 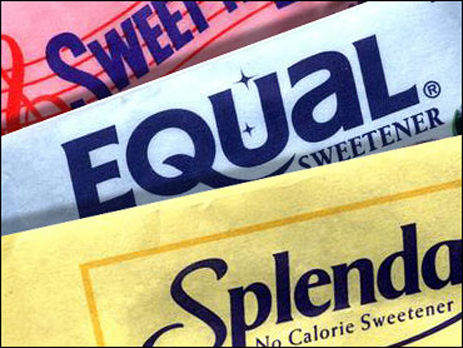 The amount of clinical and scientific evidence against using Aspartame is staggering. 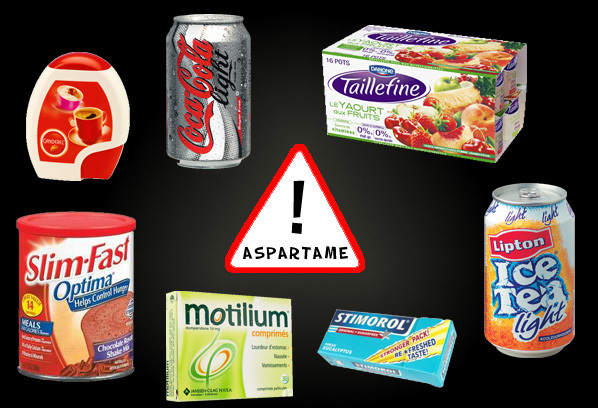 Aspartame now accounts for over 75% of the adverse reactions to food additives reported to the FDA. So I think it’s safe to call this poison. It should never have been approved and no one in their right mind should be consuming even small amounts. Butylated hydroxyanisole (BHA) and butylated hydroxytoluene (BHT) are widely used preservatives (gum, cereal, nut mixes) that prevent oils in food from become rancid. It’s known to cause cancer in rats… according to our own U.S. Department of Health and Human Services (HHS). 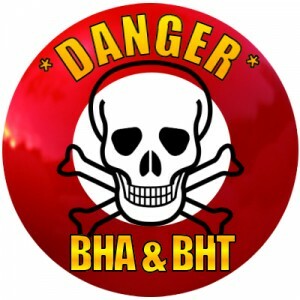 BHA is suspected of causing allergies and hyperactivity in children. It’s banned from infant’s foods in the UK, Japan and all 16 countries of the European Union. This fat substitute (Think “Fat Free”) was in potato chips that were fed to rats in a study by Purdue University. 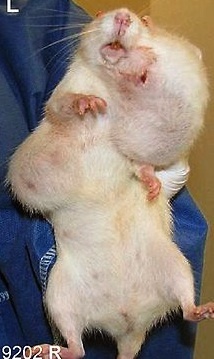 The rats GAINED WEIGHT and had problems with diarrhea and bowels. 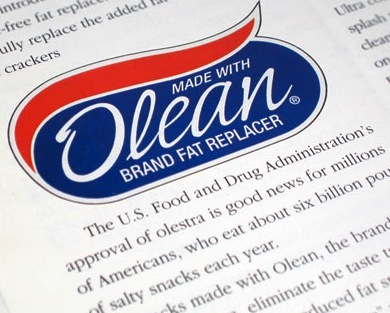 Known to inhibit the absorption of fat soluble vitamins, the FDA requires vitamins A, D, E and K to be added to any product made with Olean or Olestra to make up for the loss it causes! Olestra and Olean are banned in the UK and Canada. This is added to the bread, already made with the GMO wheat, to hold the dough together. 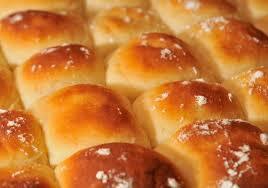 The International Agency for Research on Cancer classifies potassium bromate as cancer causing agent. Studies have linked it to cancerous tumors, kidney damage and thyroid tumors. It’s banned in Canada, China and all 16 countries of the European Union. Seems hard to believe, but arsenic (poison) is added to over 90% of poultry to increase its weight while reducing the amount of food needed to keep the chicks alive. Under the guise of treating parasites, it’s massively pumped into poultry. And the net result is that we eat the arsenic, a known carcinogen! 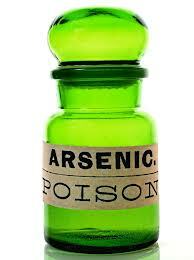 Arsenic in food is banned in the 16 countries of the European Union. We’ve been hearing for years that red meat was bad for you. Which is a bit of a theological problem since the Bible tells us that it’s ok to eat red meat, even commanded in the Old Testament for festivals like Passover. So what’s the answer? It turns out that it’s not the meat that is bad for you, but rather it’s what goes into a lot of meat that is awful! Sodium nitrate is not in chicken or fish, but is added to red meat to produce that amazing red color, to preserve it until it can be sold and to control bacterial growth. But the dirty little secret is that sodium nitrate causes cancer, according to the World Cancer Research Fund. It’s basically unfit for human consumption because it’s linked directly to the worst of all cancers: pancreatic cancer. In the 1970s the USDA tried to ban sodium nitrate only to be inundated with the clever “They’re trying to ban bacon!” campaign launched by the meat packaging industry. 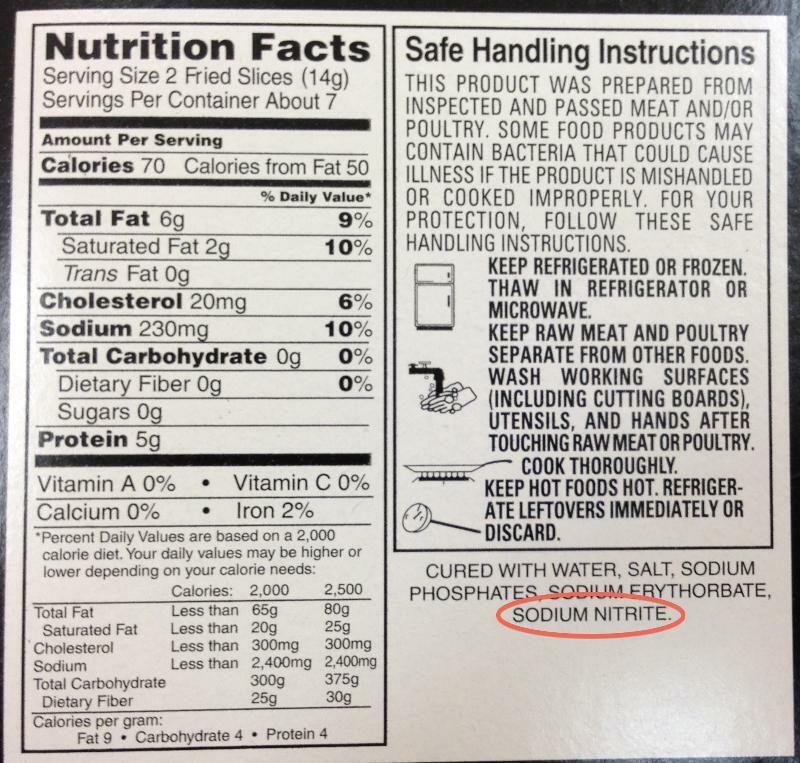 Most processed meats like packaged ham, bacon, sausage, hot dogs, pepperoni, salami and virtually all red meat used in frozen prepared meals like pizza have sodium nitrate in them. GMO foods are causing all kind of problems in addition to human health. 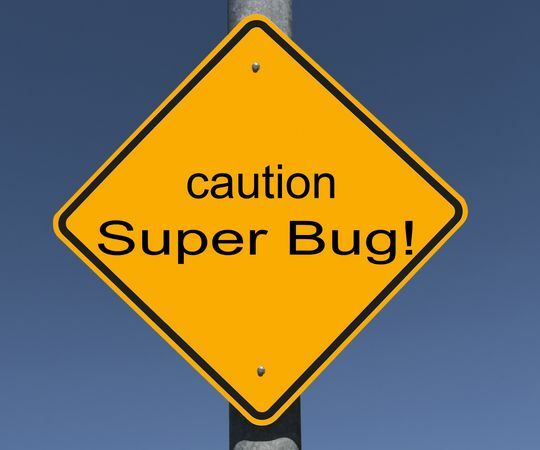 They’re creating superbugs and superweeds because only the strongest survive and become resistant to insecticide. Each year more and more chemical spraying is necessary. Bee and butterfly populations are being decimated. Pollination of crops is vital for about 40% of our food supply. Currently farmers in California are having to import bees to get the job done as the bee populations are not replenishing themselves as they have for the last century. 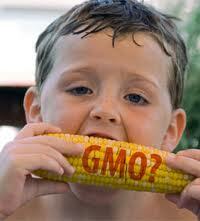 GMO seeds are the patented property of large multinational corporations like Monsanto. Farmers are forbidden to use seeds from the GM crops already purchased and therefore are forced to buy new seeds each year, reducing the profitability of the operation. Also, seeds are easily blown from farm to farm. If a farmer’s crops are unintentionally cross-pollinated with the GM patented seeds, the farmer is criminally liable to pay royalties and licensing fees. Monsanto actually sued a farmer and won even though the farmer didn’t intentionally use Monsanto seed. This one’s a heart breaker. 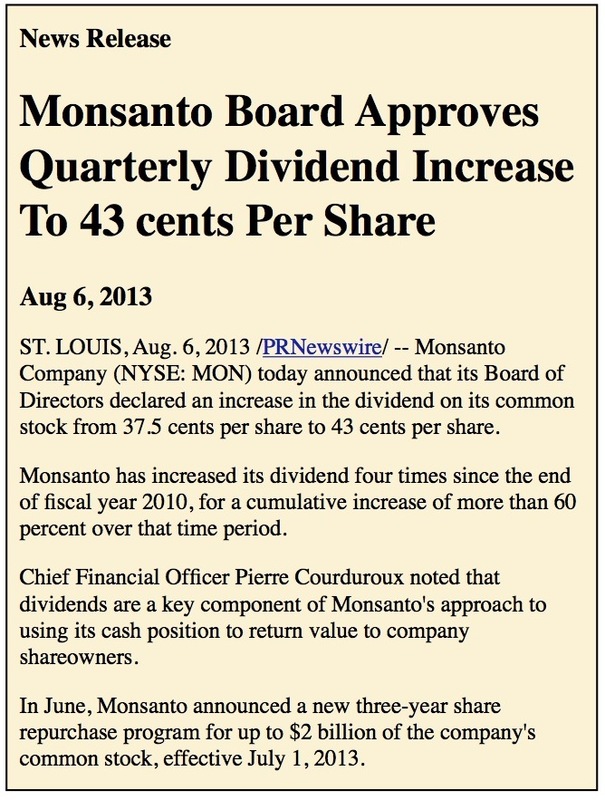 Monsanto was able to get farmers in India to begin using their GMO seeds by promising increased crop yields. Although the program was successful for the first five years, now it is no better than the former non-GM crop. And it costs a lot more to operate as they have to pay more and more for pesticides to kill the superbugs. The farmers are now losing so much money they’re committing suicide by the droves—125,000 since the introduction of the GM seeds. As a result, India’s Supreme Court recommended a 10-year moratorium on using the GM seeds so stricter regulations could be implemented. So it seems our food supply is a mess. But trying to unplug from the traditional food supply system is a daunting task. You’ll find yourself looking for local farmers and making friends at the local organic foods store. It’s pretty much impossible to rid 100% of the poisons from your diet. But if you can cut out 80-90% you’ll be far healthier. And finally, let’s keep everything in its proper perspective. The last thing we would want is for people to live longer, healthier lives and then split the gates of hell wide open. The purpose of living healthier is to be able to be a better witness about what God CREATED. We get into trouble when the government ditches God and starts making making decisions irrespective of Biblical commands. But as we see in the book of Jonah, it’s possible to repent as a nation and be given a reprieve for what we deserve. Judgement in Nineveh was delayed 100 years or so when people turned back to the Lord. For that we pray. Bill Perkins is the founder and Executive Director of Compass International, Inc. The above article may be forwarded in its entirety (including credits) without permission. Our last article was originally going to be titled “Behold a Black Horse.” But after doing the research on problems with our food supply and how/why food would become so scarce in the tribulation, I changed the title to “Killers in the Kitchen” as I found our food growing and production methods were, to say the lease, shocking! Interestingly, that article turned out to be the most forwarded/circulated piece we’ve ever written. Amazing. We write about hell, doctrine, Rapture, salvation, etc., and I get the biggest response on the food we eat! And 99% of our reply comments were positive, compared to about 80% normally. Trying to actually use this information about what to eat is hard. I don’t know about you, but trying to buy food without GMO poisons seems to be next to impossible. Turns out that GMO corn (poison) is in just about everything. I think half of the items in our grocery stores have some form of GMO corn in them. Drives you crazy. So we’re now finding we have a lot fewer choices for breakfast, lunch and dinner… and paying a lot more for what we do purchase in the gluten free section or local health food store. What does the Bible say about food and drink? We know from scripture that Jesus ate broiled fish (obviously wild-caught). We know John the Baptist ate locusts and honey. I’ll skip the locusts thank you! Jesus drank fermented wine. I have to add “fermented” because so many Christians have been taught He drank grape juice. Not true. Grape juice came about only in the late 1800s when Pastor Welch found a way to keep grapes from naturally fermenting. We know Jesus ate lamb, bread, figs, nuts, roasted eggs, unleavened bread and olive oil at His Passover meals. He would have also eaten most, if not all, of the food in the list below. And finally, do realize that after the Rapture in the coming Tribulation, food prices will go off the charts as it will take a denarius, which equaled a day’s wage, just to pay for food. When people least expect it… BOOM! In other words, the Rapture will take the world by complete surprise just like the flood did. Imagine, it had never rained on the earth before the flood. Noah preached warnings to people for over 100 years while he built the ark, but no one listened. So, Jesus says there will be an economy right up to the Rapture. We’re NOT going to have to live in a radar-deflecting tent on a mountain top eating roots, or in a bunker eating freeze dried beans. There isn’t a week that goes by that someone doesn’t call or email me about why I don’t believe the Church will go through the Tribulation. They seem to think it’s rational to “prepare” for having to live through some or all of the Tribulation, “just to be safe.” Really? You’re living in the last of the last days and that’s how you’re going to spend your time? So please, if you have a problem with pre-trib Rapture, take it up with the Lord. Yes, we WILL have trials on this earth, some quite difficult, but we’ll never experience the horrific tribulation from God’s wrath unleashed on this earth. We may experience economic ups and downs as countries have throughout history. We may see our money fail and a new currency implemented, as many countries have in the past. 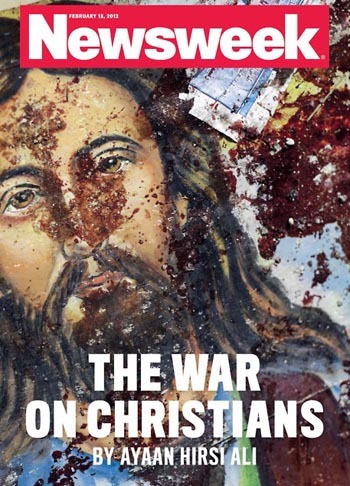 We may even face extreme persecution, as many Believers are suffering today around the world. We may even be thrown to the lions, as many Believers were in the past. But I will tell you unequivocally, Believers are NOT going through any part of the horrific future seven year tribulation! Because Jesus said we won’t. We’ll be “on the boat,” so to speak… which is above the tribulation below. 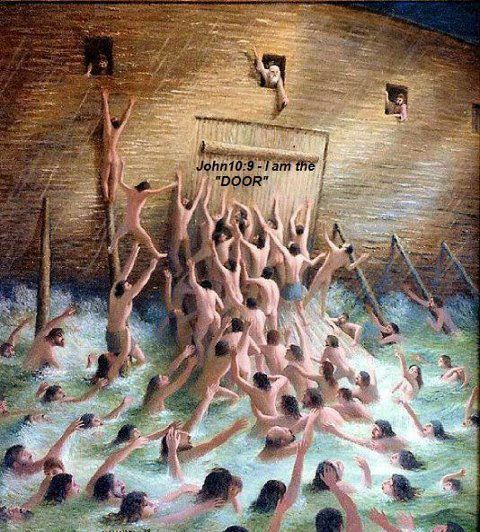 In the days of Noah, those who went through the door of the ark were safe. Once that door was shut, it was too late. God was patient with his wrath until His time. He is patient now, waiting for the last soul to be saved, through the door named Jesus. Today, just like in Noah’s day, few are listening to those preaching truth and righteousness. The Bible even predicts that there will be “mockers,” sneering at the suggestion Jesus might come back at the Rapture for His Church. 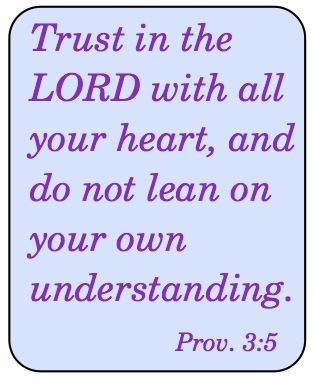 Rather, continue to trust in the Lord’s refuge and keep your spiritual wits about you. The longer this thing strings out, the wilder it may become. And the more opportunities you’ll have to testify to what the Lord has done in your life. So keep your eyes on your future home where you can’t even imagine how great it’s going to be! !